Finding a park in a congested city like Sydney or Melbourne can waste a lot of valuable time and fuel for all types of fleets. To solve the problem, parking industry veteran Mosstyn Howell quit his job in 2014 and set about developing the UbiPark app. 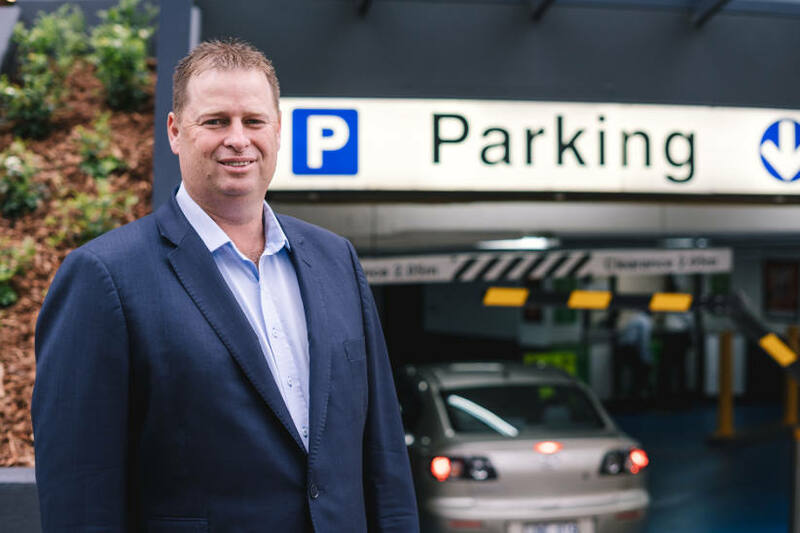 “I’ve been in the parking industry for over 20 years and I can see with the pushes and advances in the world of mobility and connected cars that there is a better way to do parking,” said Howell, who is a former manager of operations for Wilsons Parking in Australia and New Zealand and a director of sales for parking and security technology group TMA Tech. “Our aim (at UbiPark) is to simplify the parking process and have a service that fits into the bigger mobility solutions. Fitting our application into the connected car and fitting it into Apple CarPlay and Android Auto is where we see the future of parking,” said Howell. For now, UbiPark users search the app on their smartphone, or desktop, for their end destination to show all the available parking options in that area. They select the park and will be directed to the entry of the carpark — a point of difference to Google, which may direct you to the car park station’s address but not the entry point, which may be in a lane or another street. Earlier this month, UbiPark released an add-on product called UbiPark Access, which enables the opening of a car-park boom gate and for payment to be made by a nominated credit card or account, saving the need (pain) to keep and file receipts. The UbiPark app is presently available to users in some 7,000 locations in Sydney and Melbourne and plans are for it to be rolled out nationally. So far, it’s up and running in Metro Parking and Care Park branded parking stations among others in Australia’s two biggest cities. Parking partners include City of Melbourne and North Sydney Council. In February, Adelaide Airport will commence a trial of the app. Howell said UbiPark is also working with various city councils to get live information to show vacant street parking spaces. Howell said UbiPark is free for fleets. They also offer free trials to anyone interested in testing it out before unveiling it for the entire fleet (see link here). The business model is for revenue to come in from parking space providers such as Metro. UbiPark also offer organisations a white-label solution so they can customize the app with a company’s own branding. “So if it’s a Hertz or a Telstra we can create the app around their brand or we can integrate it into any of the existing apps the company may have,” said Howell, adding there are some costs associated with that. Being city-centric, the app is ideally suited to service and delivery fleets or the traditional sales rep.
UbiPark also provides integration into a user organisation’s accounting system, with the benefit of cutting administration costs and headaches.